In his final blog of the year, Mr. Loadlink starts by looking at the strengths, weaknesses, opportunities, and threats presented by a SWOT analysis. It’s a time of year when one might be asked to conduct a SWOT (strengths, weaknesses, opportunities, and threats) analysis of their business, product, division, or something else. “We need a big year, team, so let’s get a SWOT matrix done and hit Q1 hard,” a CEO might say. “Let’s spend the afternoon on it; we need to deliver 20% growth next year,” he or she continues, slamming the desk with a fist. It’s this kind of talk that gives SWOTs, indeed all business planning, a bad name. It’s a safe bet that companies who plan like this probably cut and paste much of the text in each of the four boxes from the last time they completed the exercise. No wonder the results aren’t treated with any sincerity. A good SWOT investigation can’t be completed in an afternoon; it’s not a box-ticking exercise. Producing an effective document that actually equips a business for growth and protects it from negative influence takes contributions from an engaged workforce on a regular basis. Moreover, it must be constantly challenged, updated and reattached to the whiteboard. Look at it every quarter—at the latest. The standout weakness and threat combined by a SWOT analysis itself is the lack of care that’s too often associated with its production. This is actually a serious task. Think about the value in truly understanding one’s strengths, weaknesses, opportunities, and threats. Imagine the power in knowing when a threat looms and having a system in place to create fortifications. When the attack comes, or market dips, a company can be ready for it. Much of the problem can be attributed to a lack of acceptance of how temporary a SWOT matrix really is; it evolves constantly. The greater the time a business spends on it, the faster that change becomes. In fact, it creates that change. A good company with a robust SWOT can turn weaknesses into strengths and threats into opportunities. Where it can’t, it builds defences so strong that even the worst-case scenario can’t penetrate them. 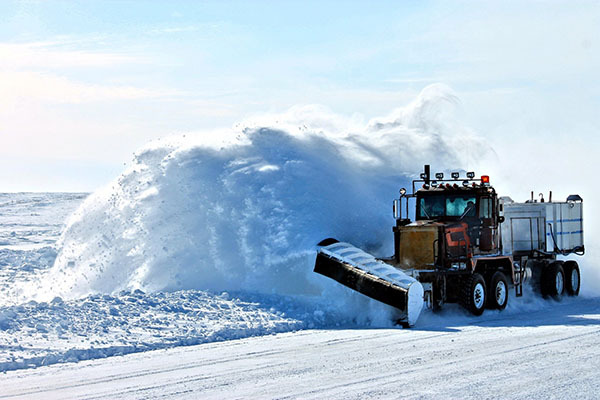 Take two winter maintenance equipment manufacturers, for example. One company is called Winter Wheels Ltd. (WW) and the other Snow Scene Ltd. (SS). They are both a year old, hit their revenue targets for the first 12 months and their kit seems to be performing well in the marketplace. The production lines, both in Germany, are working efficiently and are meeting demand for road gritters and snow ploughs across nine-hour shifts, five days a week. Occasional overtime is needed when a large order comes in but both manufacturing teams are willing to put in the extra hours so orders are fulfilled and customers are happy. Strengths: Our equipment is performing well in demanding conditions. Weaknesses: Demand for equipment is seasonal, as customers renew their fleets. Opportunities: We have greater capacity in production. Threats: A similar business is producing an equally good product for the same marketplace. The difference was, WW decided to revisit the task at the end of the next quarter, while management at SS put it in a drawer and hoped they wouldn’t be asked for it again. A year went by and, much to the SS team’s disappointment, the dreaded email came round and another annual SWOT had to be presented in the boardrooms at the end of the month. WW had been planning for this, but SS less so. WW took the SWOT and put it at the forefront of its business plan. During year two, it looked at leveraging its strengths. How can we make use of our manufacturing capability and look at other equipment that might be broadly similar to road gritters and snowploughs? Is there an industry that perhaps requires equally robust chassis but uses them all year round? Can the snowplough attachment be adapted for earth moving? Is there a road sweeping trade show where we can demonstrate our new idea? Where SS saw the limitations of its business—a winter-themed product range would always be dependent on seasons—WW saw the chance to diversify and moved the goalposts. Where SS remained worried about a competitor that presented an alternative to 100% of its product range, WW created a market environment where a previous threat now only competed on a portion of its offering. WW was on the way to creating a business that was no longer reliant upon one season a year but created a new positive kind of threat that they’d have to close the new production hall if they couldn’t retain demand for the new range of products. Marketing was on the case, however. How can a snowplough be adapted to serve another industry, WW thought? As hinted above, the same principles can be applied to all business planning. I’m biased because I’m a meticulous planner and having reviewed my company’s 2017 plans—looking at what worked, what didn’t, where threats became opportunities, etc.—I’m excited about putting Q1 2018 plans into action and looking back over them in early April. There will always be threats and weaknesses at a business, I’m not out to change that, but it’s enlightening when one realises the extent to which they can be manipulated. 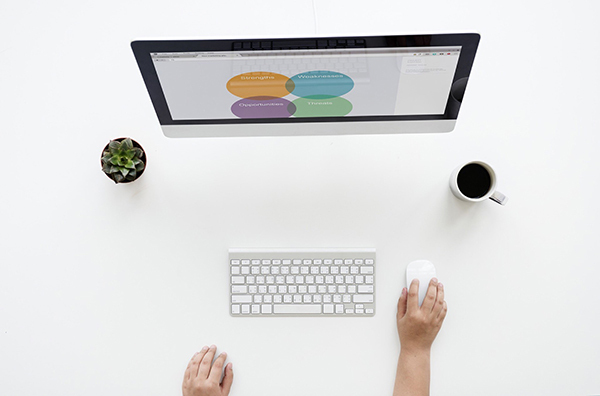 How might your business be able to better harness the power of a SWOT analysis or business plan? 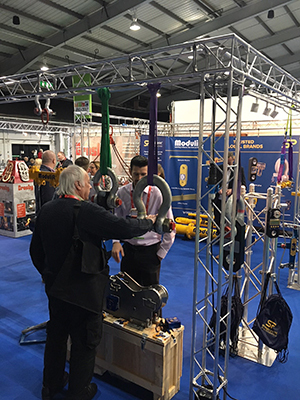 Visitors to last month’s LiftEx show, which took place on 29-30 November in Telford, got the first look at a ‘trusted global brands’ concept, whereby we co-exhibited with fellow below-the-hook equipment manufacturer Modulift, which makes spreader beams. We also shared space with Crosby that was kind enough to kit out the space with some truss systems upon which we hung our wares. My counterpart at Modulift, Sarah Spivey, has commentated extensively on the collaboration so I’m not going to repeat what’s already been stated, but it’s worth elaborating on our intent. SP has identified approx. 15 trade shows that are taking place in 2018, each of which represents an opportunity to engage a different marketplace. If a particular product is more relevant than another—our Clamp On Line Tensionmeter (or COLT) will be of particular interest to professionals who work with tower and stack guy wires—we will showcase it accordingly, rather than present our whole portfolio. At LiftEx, where a more generic audience assembles, a broader mix of equipment is the order of the day. At many (not all) of the events alluded to above we will co-exhibit under the ‘trusted global brands’ banner and the success of LiftEx suggests to me that other businesses should try to explore avenues of mutual opportunity, where appropriate. For example, do you make or supply a product that is used as a complementary item to another bit of equipment? It might not be viable to manufacture that product oneself (that would have been considered in the SWOT analysis) but, say, a bike frame company and a tyre firm want to exhibit at a show. Collaboration could be the way forward. It’s not about cutting costs. Ok, sharing space with Modulift does make it more affordable to exhibit at a niche trade event that may otherwise not be allocated a big marketing budget, but it’s more about presenting the target audience, our customers, with a breadth of solutions. The Modulift-SP collaboration is also a conversation starter and, think about it, getting people talking is a primary goal for any exhibitor. One LiftEx visitor even asked if ‘trusted global brands’ was an official joint entity. We were happy to correct them and, guess what, we were automatically in dialogue about load cells, spreader beams, load testing and heavy lifting. It’s a powerful concept and one that we’re excited about taking around the world over the coming 12 months. Be mindful, however, that success at a trade show involves more than what happens during its opening hours. This is especially true at a niche event where one’s product isn’t necessarily a household name among that industry’s buying decision makers. It’s a good idea to support involvement with marketing and connect with the audience in the weeks—months, even—that lead up to the show. To stick with the COLT as an example, if we’re taking it to an event where plumb and tension professionals gather, what trade journals might they be reading beforehand? A series of advertisements with the stand number and image of the product in use in their sector should be budgeted for. “I’ve seen you guys in Cable Mag,” is a great icebreaker. 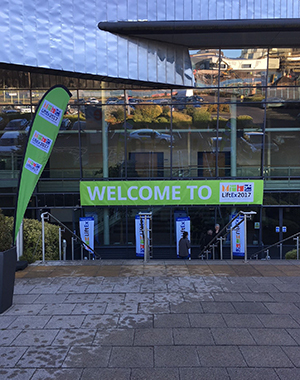 LEEA staged its AGM on the first morning of LiftEx where, as I hinted might be the case in my last blog, there were some lively exchanges between the board and certain members. It was the first annual meeting I’d attended so I don’t have anything to compare it to but my impression is that it was particularly well attended. That’s a good thing but for LEEA to meet its objectives and continue to serve members and the industry alike, everyone has now got to get on the same page and explore collective interests once again. Credit where it’s due: LiftEx consistently delivers. It’s always going to be a show where quality outweighs quantity of visitors and that’s fine with me. It should be ok with other exhibitors too, but many have expectations way beyond reality. Don’t judge a show by the amount of people in the aisles; assess it based on quality of conversations and resulting leads. Often, it’s not the sparseness of visitors that mean an exhibitor has a bad show, it’s the dearth of wisdom they demonstrate in connecting with the people that are there and a failure to effectively communicate their solution. And the opportunities it provides. It’s been another great year at SP and welcoming new people is always a highlight. Only last week we introduced Kyle Milne as technical sales engineer based in Aberdeen, Scotland. As I told trade media, upon hearing of Kyle’s availability I was keen to explore the possibility of him leading our endeavours to raise our profile, and market share, in the important Aberdeen marketplace. I have been a long-time admirer of his passion for his customers and this industry. It was apparent he had SP DNA coursing through his veins and I’m delighted he’s on board—and already generating enquiries. 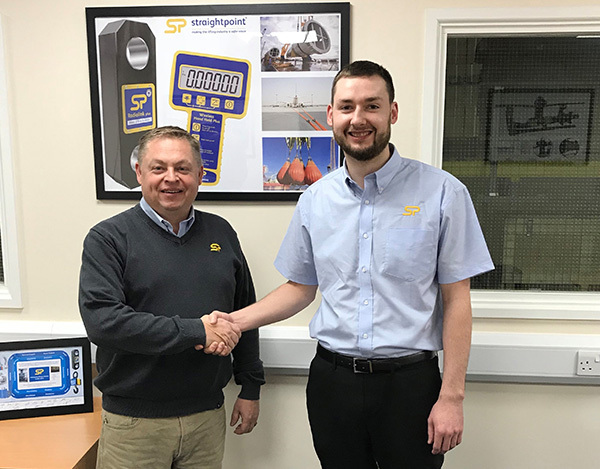 It was an honour to welcome Kyle Milne as SP’s new technical sales engineer. In closing, I’d like to take an opportunity to express my gratitude to everyone that makes SP possible—staff, customers, distributors, end users, suppliers, authorities, and others. It might well be a product centric business, but when we sit down to do our next SWOT analysis (soon! ), it’ll be the people behind it generating all the items in the strengths and opportunities boxes. If you celebrate it, have a magical Christmas and all the very best for 2018.